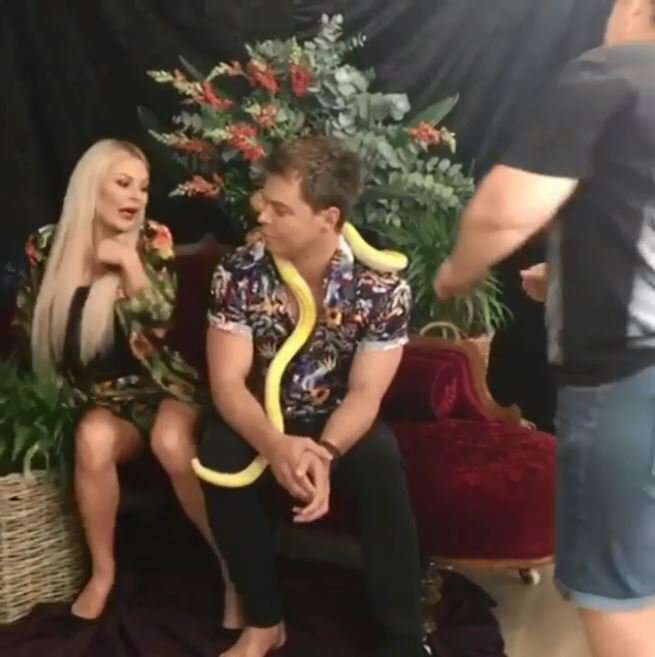 WATCH: Does Karlien van Jaarsveld suffer from ophiophobia? To hear you're going to be in a photo with a snake is pretty scary, to say the least! Have you ever been close to something you fear but have had to put on a brave face? That is exactly what singer Karlien van Jaarsveld had to do a few days ago. Karlien shared a video of her and her brother, Bobby, posing with a snake for a photoshoot! While the snake was curled around Bobby's neck, the reptile came very close to her and the next moment, everyone just heard a scream! Do you have a phobia for snakes? Let Martin Bester know in the comments section below.